Cindy Della Monica, isn't just the owner of Cheese Central in Downtown Lodi, she was also just named Lodi's Tourism Advocate of the Year. Cindy was named to the honor due to her tireless efforts ensuring that you who, not only visits her cheese shop but Lodi as well, has what you need to have an excellent time creating long-lasting memories. So, after you make your way to Lodi, settle into your comfy accommodations and stop by and see us at the Downtown Visitor's Center for your Wine Maps, Visitor Guides and other helpful information, head a couple doors down to Cheese Central where you can prepare for all of your wine tasting needs! Many wineries around town will allow you to either bring a picnic or bring light snacks to accompany your wine. After all, tasting is more about experiencing and savoring the various tastes, not about suffering the effects of having too much! So, a little food goes a long way, and cheese, for example, can have some interesting effects when accompanied by wine. 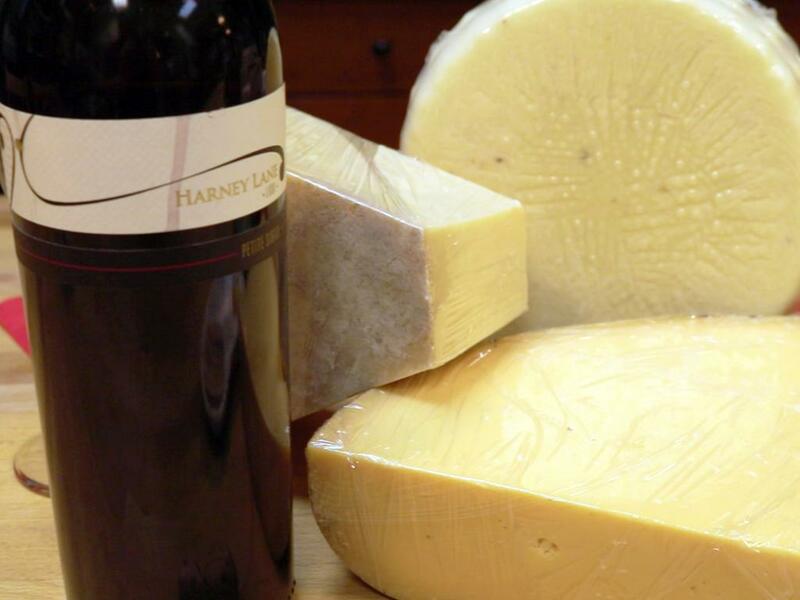 With a little bubbly wine from Riaza Wines and deep, jammy wine from Harney Lane Winery & Vineyards, we met with Cindy and got a few tips on how to craft great pairings with cheese! The moral of the story is this. A stop at Cheese Central will lead to a bit of an interrogation, but that's what you want! To craft a good mix of cheeses, you're going to get asked what you plan on drinking (red, white, bubbly wines, etc…), what kinds of cheese you like (cow, goat, sheep), the texture of cheese (soft or hard) and much more. From there, whether it's Cindy or her exceptional team of cheesemongers will provide you samples and help you craft the perfect pairings. As you can see from our time with Cindy, cheese comes in so many varieties and tastes. Just like the wine you'll be tasting, it comes down to preference, and with pairings, there can be some trial and error. 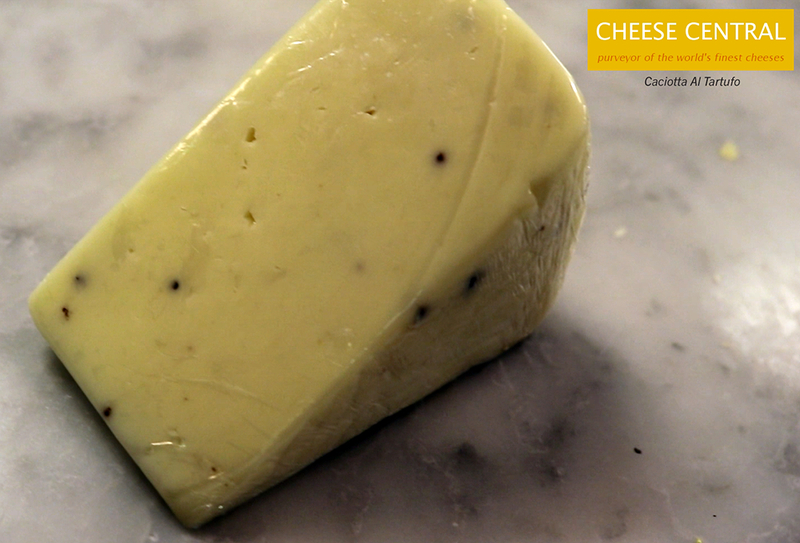 Like Caciotta Al Tartufo, the delicious Italian cheese that is mild in flavor, but with its infusion of black truffle shavings, it tastes earthy. With the Petite Sirah, the strong, deep flavors of the wine really enhance the earthy flavors from the cheese, giving you a completely different experience than when eating the cheese on its own. As evidenced by us moving from the earthy aromas of the Italian cheese, to a Vermont produced, Jasper Hill Cabot Clothbound Cheddar Cheese. This isn't your run of the mill cheddar, as this cheese has a crumbly texture and nutty aroma, but as Cindy says, "You can taste the hay." One bite without wine, and it doesn't hit you right away, but give it a minute and BOOM. You can almost taste the grains that fed the cow who produced the cheese. But a sip of your Petite Sirah and a bite of the cheese had the opposite effect it did with the Caciotta Al Tartufo. Instead of elevating and enhancing the flavors, it minimized that grassy like taste and instead, enhanced the bold cheddar flavors most know and love! 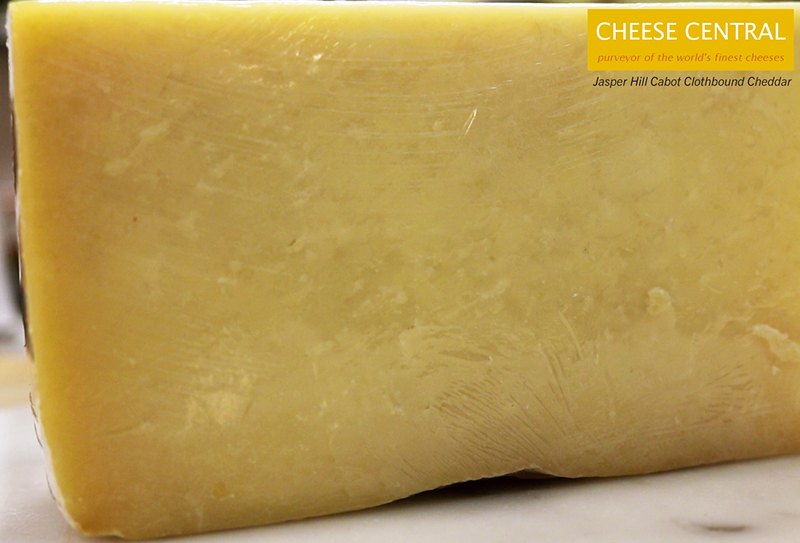 Our next cheese showcased a flavorful Old Amsterdam Aged Gouda from Holland. In addition to being very tasty, it has these crunchy white dots in the cheese called Tyrosine crystals. 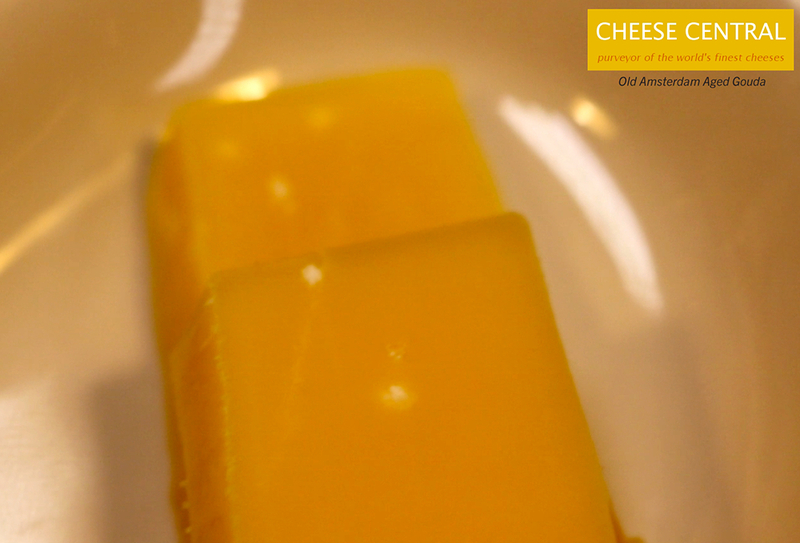 These form when proteins in the cheese are broken down during the aging process. This is an excellent thing as they add an extra crunch to the cheese and indicate that the cheese will have a hearty and complex flavor that really is complimented in the best way by full-bodied red wines and even some softer red wines with medium fruit and moderate tannin. Drinking sparkling wines? Well, you're in luck! Typically, these pair well with everything! The bubbles in the wine help clean off the butterfats from the inside of your cheeks and tongue, so you get a fresh bite every time! 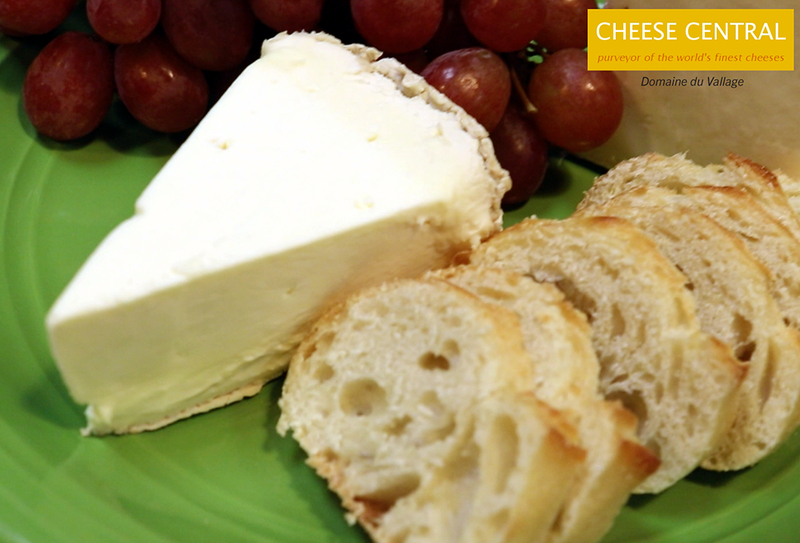 Cindy, had us try a delicious triple cream, soft-ripened French cheese called Domaine du Vallage. This smooth, creamy and slightly salty cheese finishes with a buttery finish that coats your mouth. After a refreshing sip of sparkling wine, the acidity in the wine help cut the fat in the cheese, thus elevating your experience. In the same way that there's a perfect wine for you within Lodi's 85+ wineries, there's also a perfect cheese for you at Cheese Central! With over 100 different varieties of cheese, along with accompaniments like charcuterie (ranging from smoked fish and meats to various crackers, breads and olive oils), a stop at Cheese Central is a perfect way to get some snacks for your wine tasting journey and begin trying a number of combinations to find the perfect pairing for you!